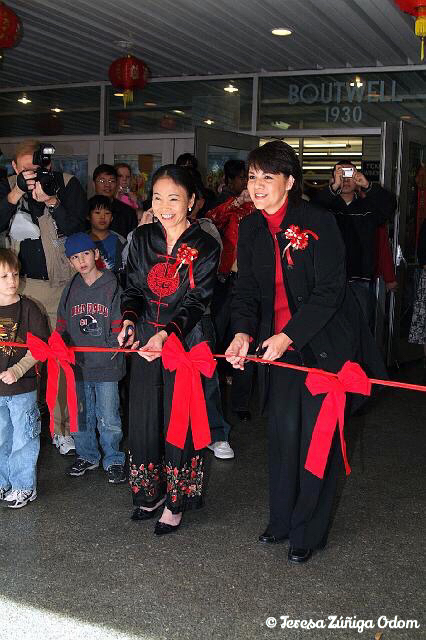 Amy Chen and I cut the ribbon to officially open the Chinese New Year festival in 2008. 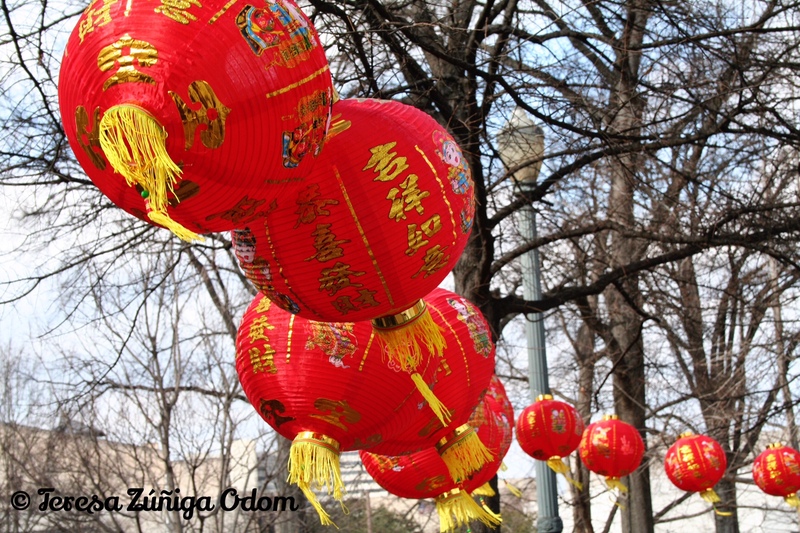 This is the second of a three-part post about the Birmingham Chinese Festival Association and the annual Chinese New Year Festival. 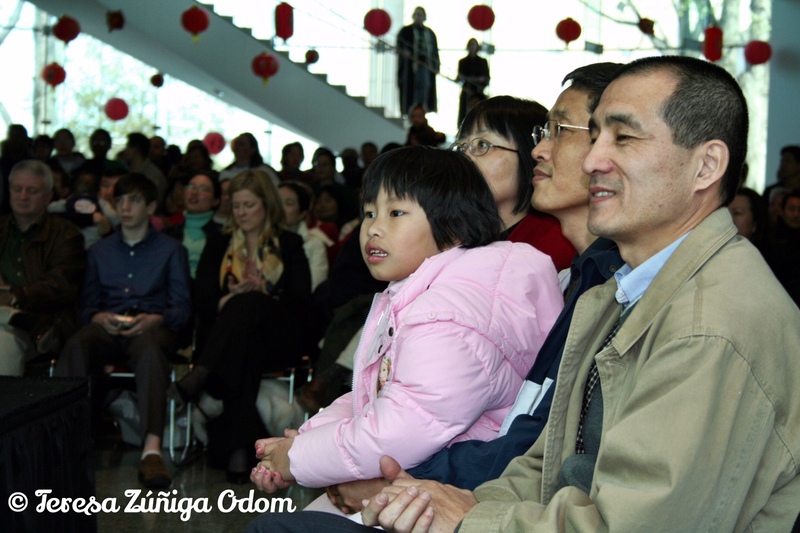 In 2008, the Birmingham Chinese Festival Association (BCFA) made the big decision to move the Chinese New Year festival into Boutwell Auditorium. This venue gave the festival the opportunity to expand entertainment and use the large stage in the venue. And now, since the second year, the Boutwell has been the home of the festival and the main stage continues to be a focal point. The tradition of having a ribbon cutting along with greetings from a representative of the City of Birmingham continues each year as well. 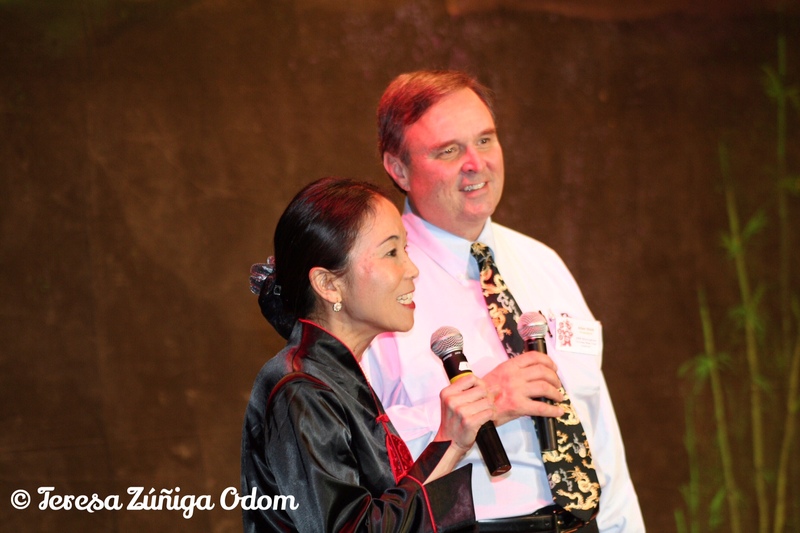 During the 2nd year, I had the honor of opening the festival along-side BCFA Vice-President, Amy Chen! 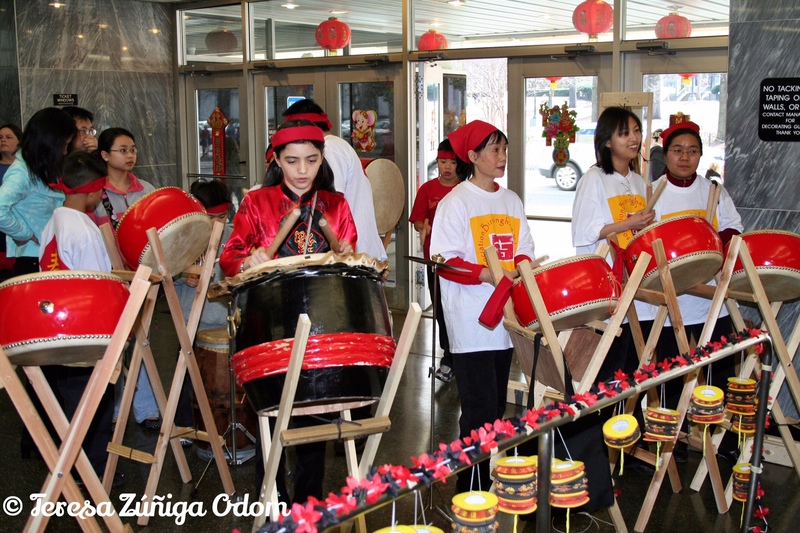 After we ceremoniously cut the red ribbon, the BCFA Drum and Dragon team performed and then lead a parade of people into the auditorium. It was quite a site! So many people and so many new sponsors came out this year to enjoy the food, fun, activities and the stage performances. 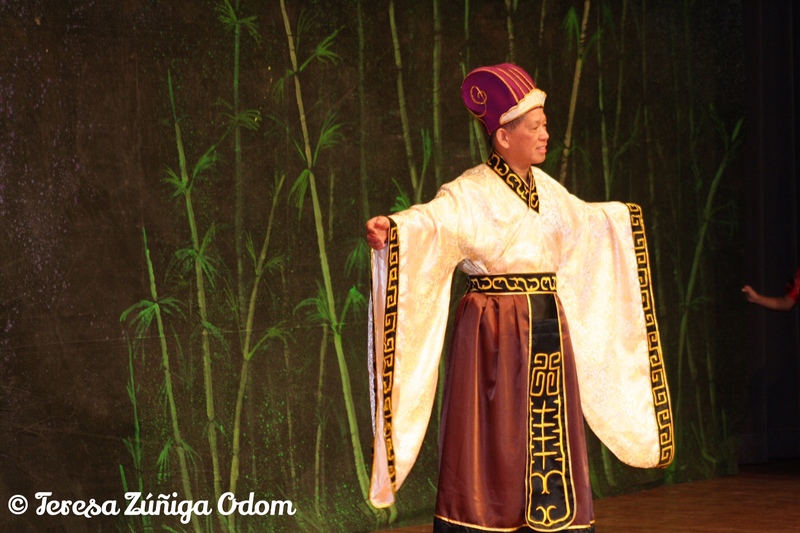 Once again, Amy led the way in acquiring tradition Chinese costumes to be featured on the stage. 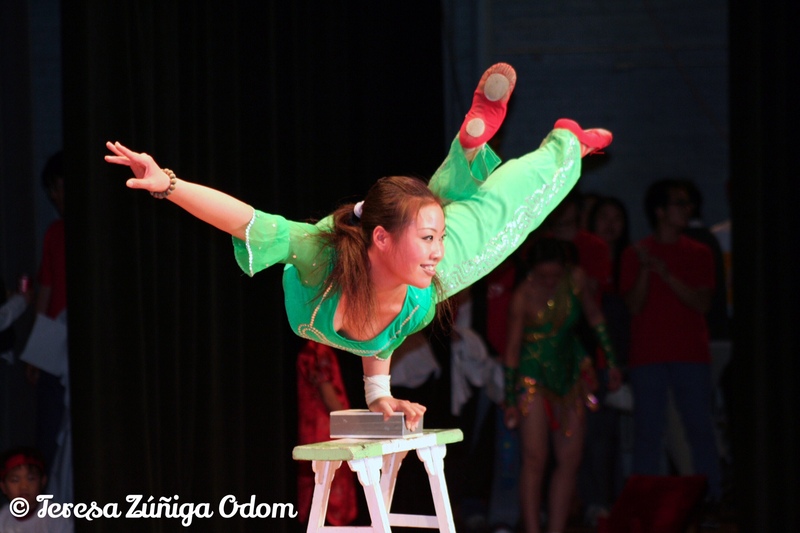 Another stage highlight was a Chinese acrobat troupe, direct from China, that performed. They were incredible and the women performers had me wanting to get back to the gym and work on my upper arm strength!!! 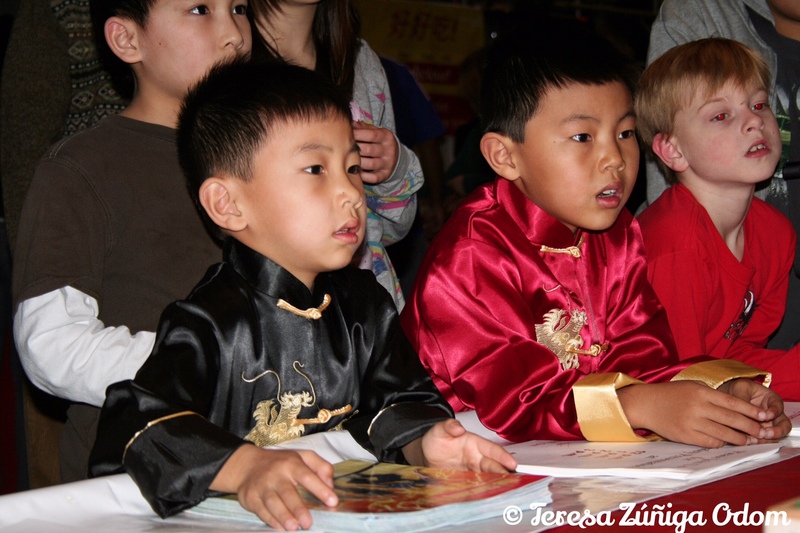 Other popular booths included kids activities, games and having a phrase or your name written in Chinese characters. 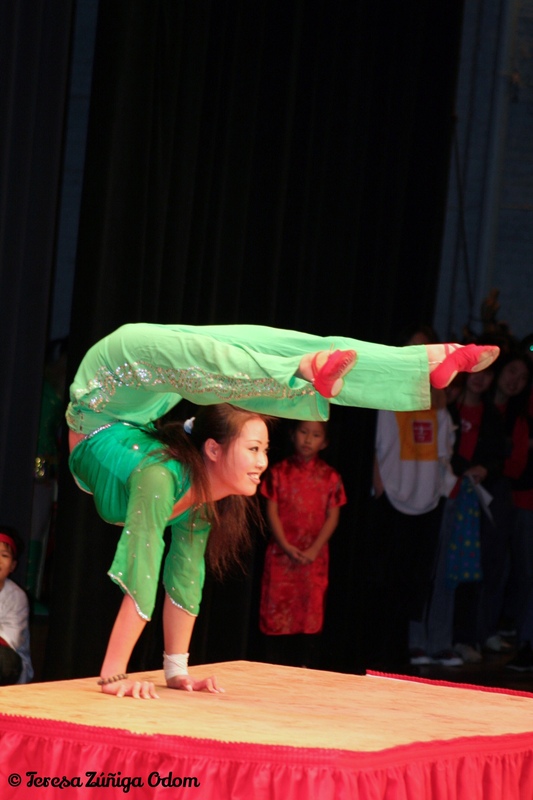 One of the female performers from China at the Chinese New Year Festival. She was simply amazing! It was estimated that over 5,000 people attended the 2nd year. And with the close of year two, it was safe to say the festival was a secret no more! Part 3 will showcase some of my favorite photos from the past 9 years, especially the festival this past weekend where I got to meet Confucius! Meanwhile, here are some pictures from the first Boutwell event. 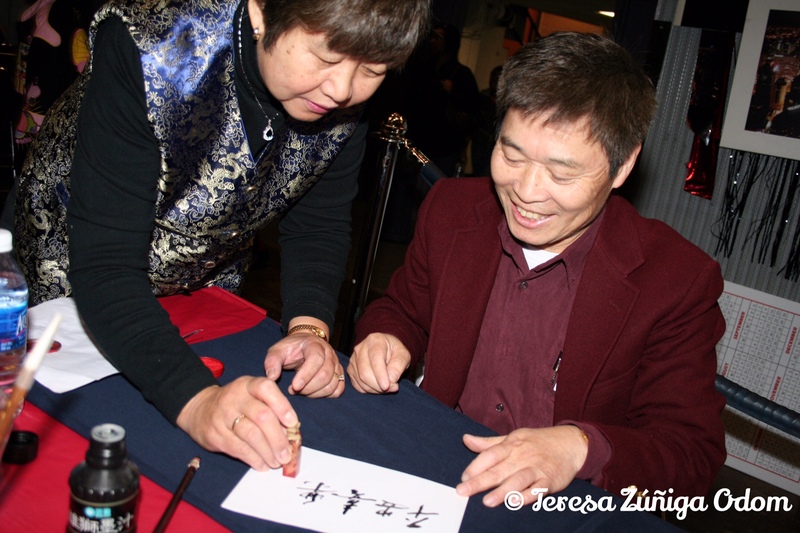 This gentleman was writing phrases and people’s names in Chinese characters. The drum group performed at the opening ceremonies. They are wearing the festival t-shirts that everyone wanted! The Dragon Dance leads everyone into the festival after the ribbon cutting! 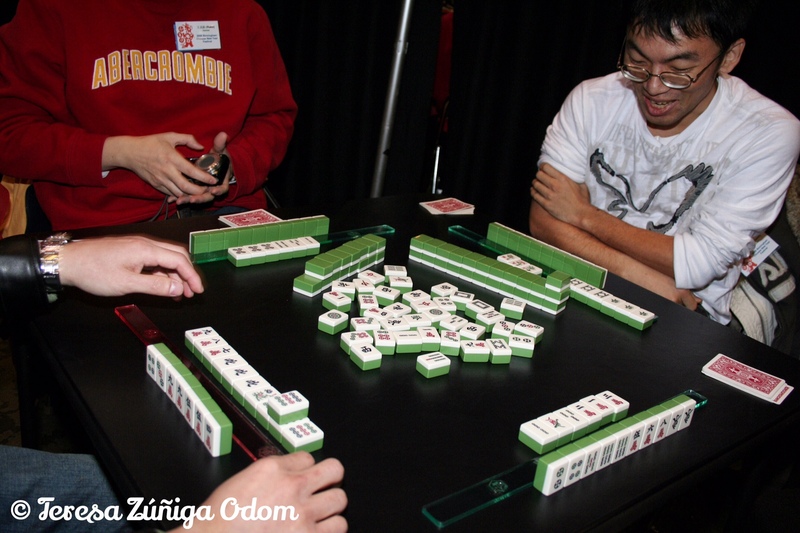 Walked up on a Mahjong game at the festival. My mother had a mahjong set when we lived in Thailand and I always loved playing with her and her friends as a little girl. 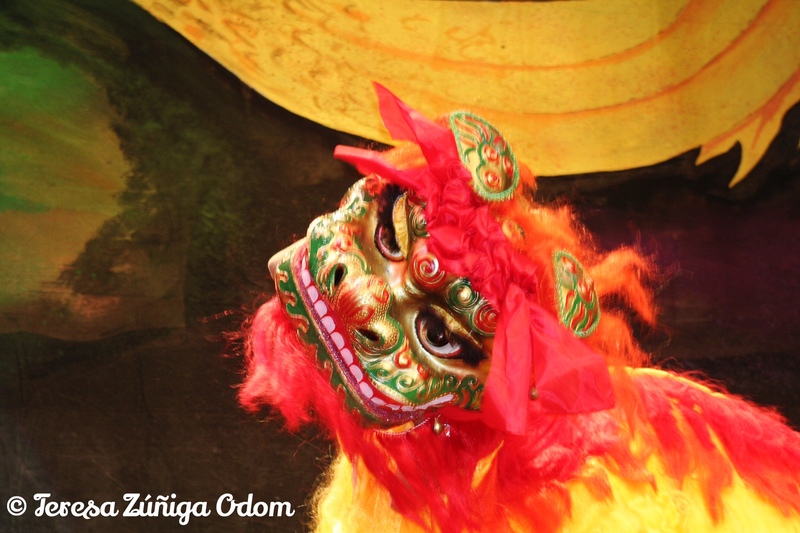 The Dragon at the festival always seems so real to me…especially the way he tilts his head. These sweet children were intrigued by a presentation at the festival. They arrived dressed in Chinese costume. The amazing Amy Chen introduces the Chinese costume fashion show. BCFA President, Allan Staib and Vice-President, Amy Chen, speak to the audience after the fashion show. 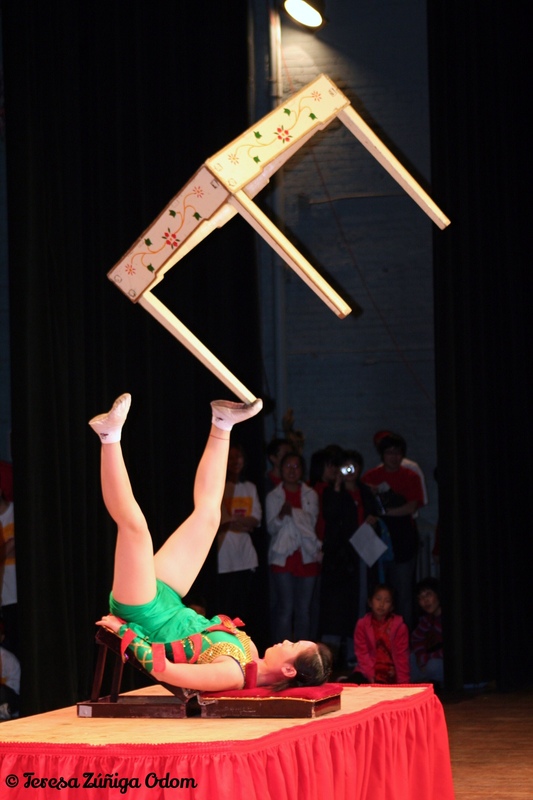 Chinese acrobat shows off her talent! 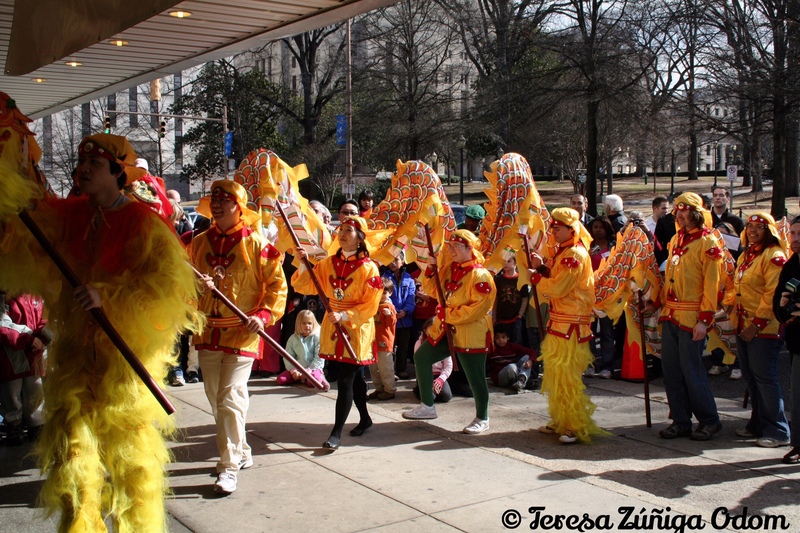 This entry was posted in Birmingham, Birmingham Chinese Festival Association, Boutwell Auditorium, Chinese New Year, Festival and tagged Amy Chen, BCFA Drum and Dragon Team, Birmingham, Boutwell Auditorium, Chinese, Chinese New Year, Dragon Dance, Family Event, T-shirts, Volunteers on February 22, 2015 by Southern Señora. 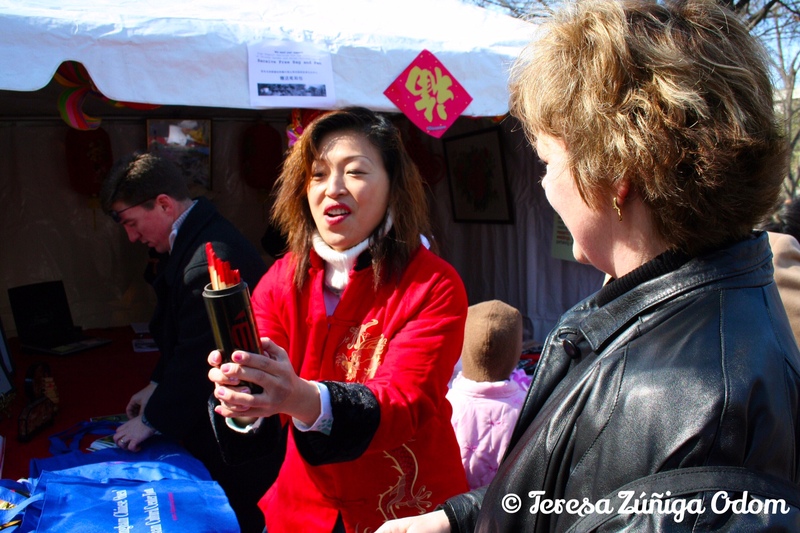 This is the first of a three-part post about the Birmingham Chinese Festival Association and the annual Chinese New Year Festival. Red Chinese lanterns lined the trees in Linn Park the first year of the festival. The Magic City is filled with so many fun things to do! Some weekends, its hard to decide which way to turn with so many options! 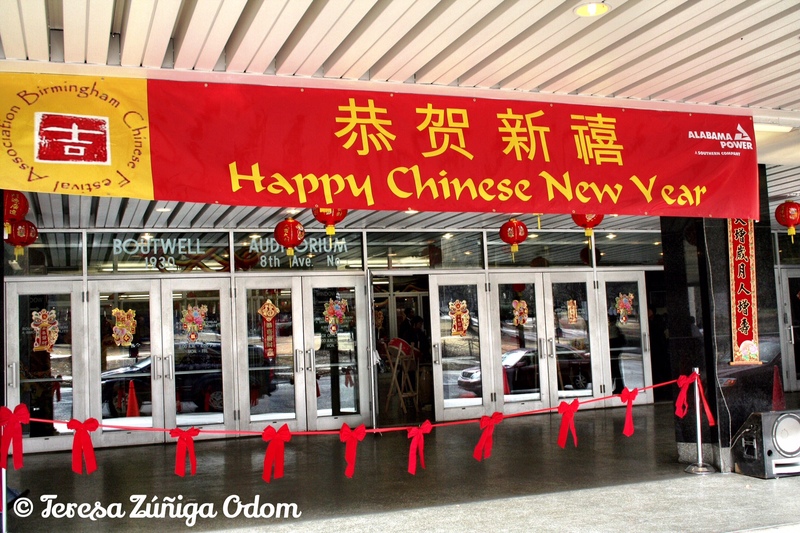 This past Saturday, I chose the 9th Annual Chinese New Year Festival at Boutwell Auditorium. Of course, I’m a little partial to this event since I around when it was born in 2006. 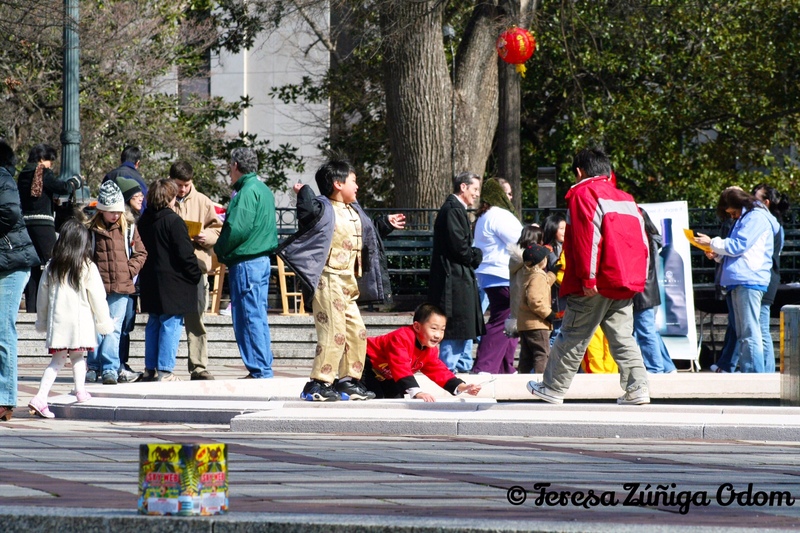 Before the festival was officially formed, many of the Chinese groups and organizations around town would celebrate Chinese New Year with smaller events. Even the Birmingham Museum of Art held a family event at one time. 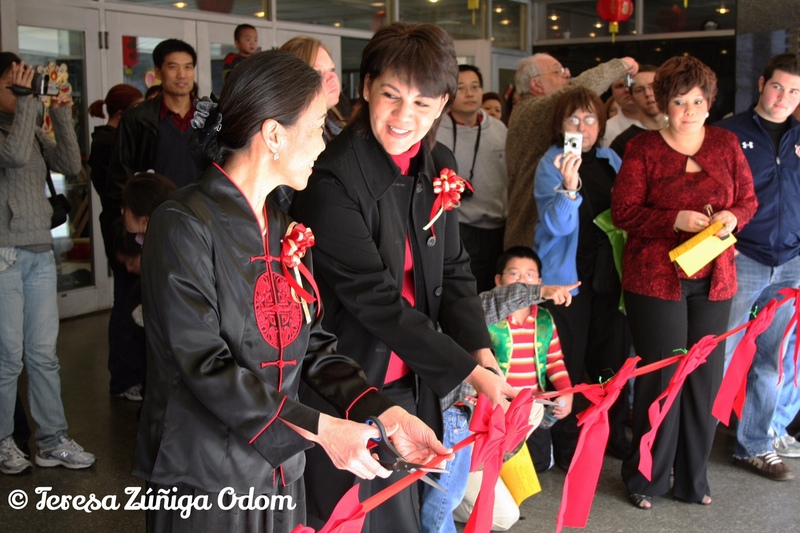 The year 2005 was a turning point though, and a concerted effort grew among the community to create one large event – a festival – to celebrate Chinese history and culture. 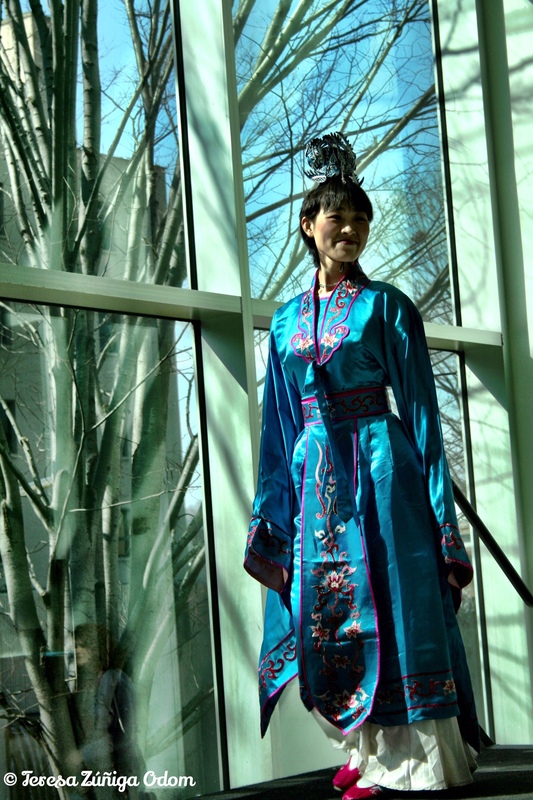 This became a collaboration between the Birmingham Chinese Association (BCA), the Birmingham Public Library, the Birmingham Museum of Art and several other Chinese cultural groups. 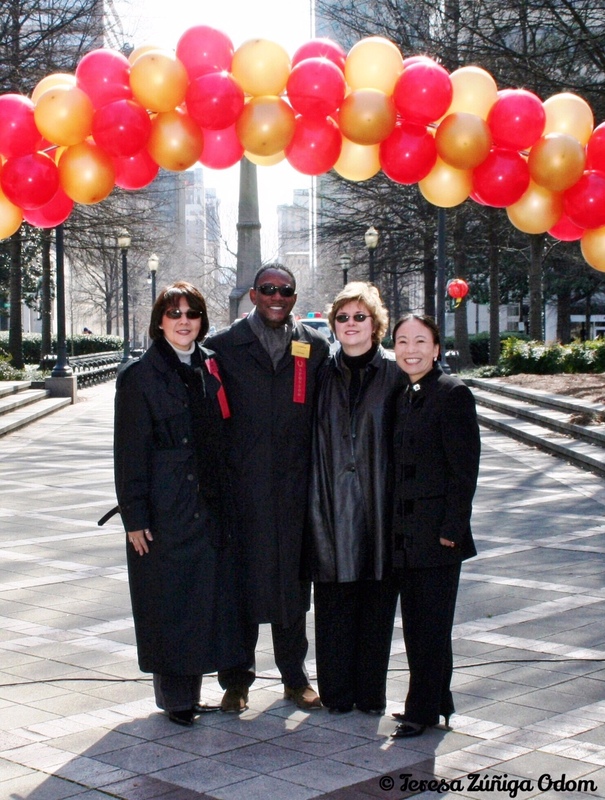 So, 2005 was the year the Birmingham Chinese Festival Association was born and they began planning their first Chinese New Year Festival in Linn Park. 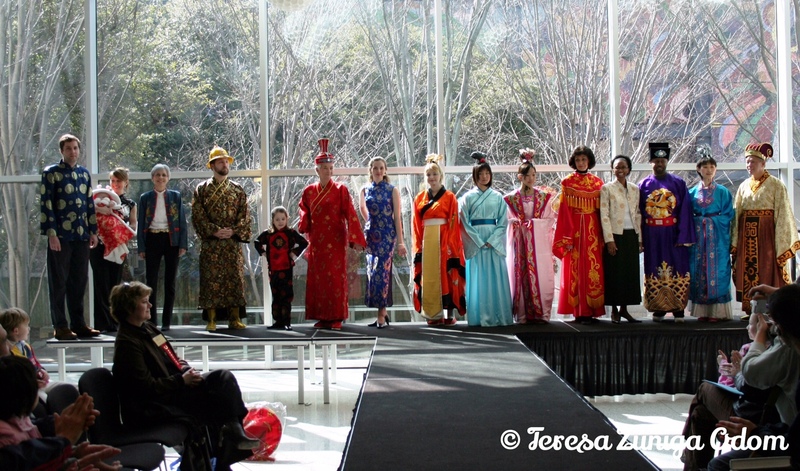 Amy Chen of the BCFA served as Mistress of Ceremonies for the Chinese costume fashion show in the Birmingham Museum of Art. 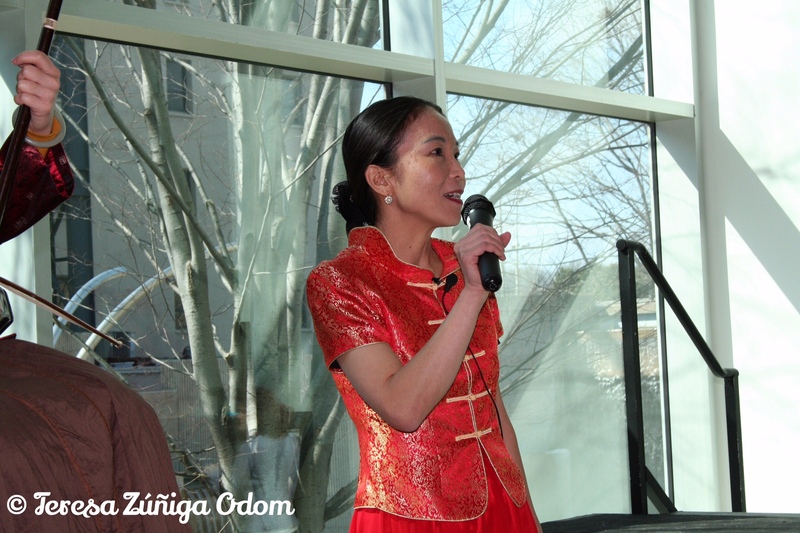 Here she entertains the guests with a favorite Chinese song. 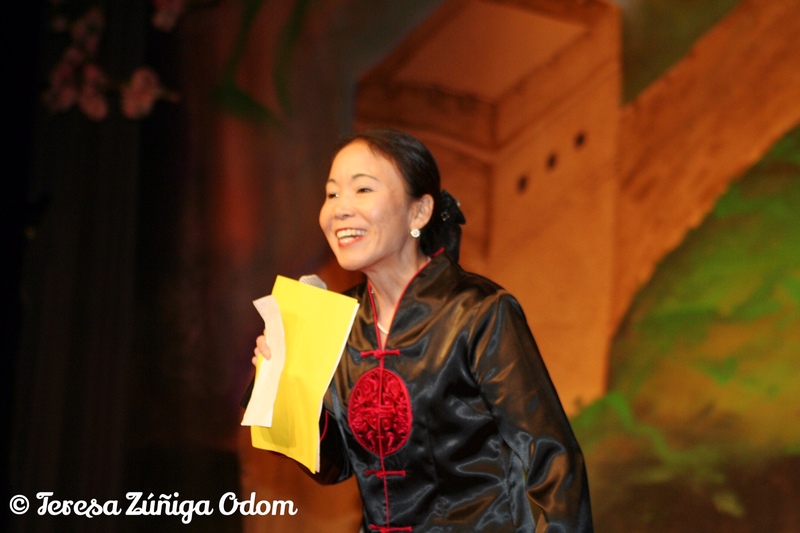 Around this time, I met Amy Chen – a dynamo of a woman with a heart so full of a love of her Chinese culture you couldn’t help but smile every time she spoke to you about it! I always loved talking to Amy. Sometimes she would get so wrapped up in her stories she would tear up. Naturally, that would make me tear up too! 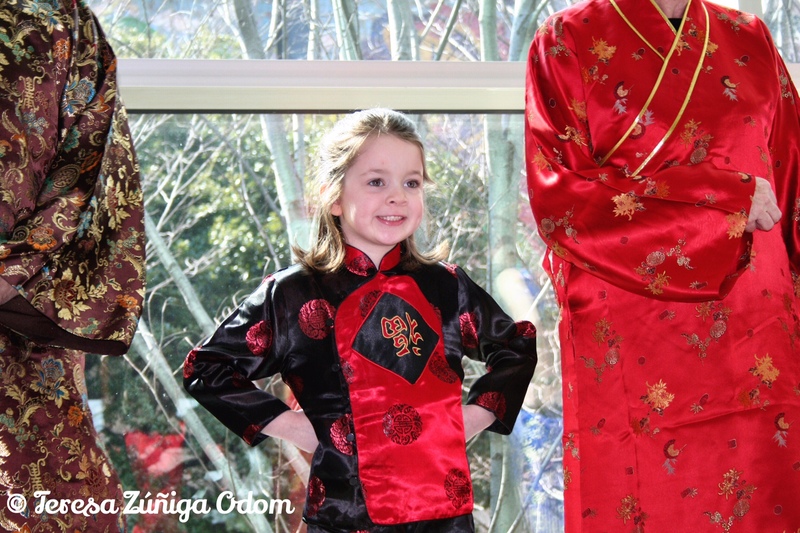 She had been to my Fiesta event and loved what we were doing with our Hispanic cultural festival and wanted their Chinese festival to be a success just like ours. Amy asked me to come to some of the early organizing meetings where I shared what we did with Fiesta, how we organized, the types of sponsorships we looked for and how we mobilized volunteers to share their culture. Honestly, they had it all together already, but it was nice of Amy to ask me and for the organizing committee to listen to me. I helped Amy with sponsorship referrals that year and again a few years later when she became President of the BCFA. It’s hard to say “no” to Amy – and really, I didn’t want to because I know the work it takes to deliver a festival based on sponsorships and volunteers. It really was a joy to help her. 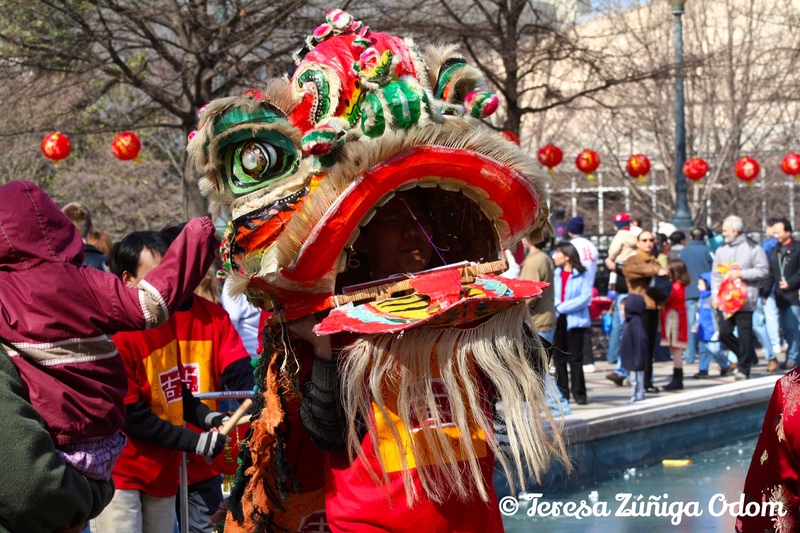 The Dragon is always a symbol of the Chinese New Year Festival. So the first event in Linn Park was February 2007. It really was exciting and you could feel the excitement building as tables were set up by vendors and organizations around the fountain in Linn Park. The smell of Chinese food began drifting through the air from the gazebo in the park and I couldn’t wait to grab a plate and dig in! The opening ceremonies featured a ribbon cutting and fireworks along with the Dragon Dance through the park. Across the street at the museum, Amy was busy at work getting a fashion show ready with modern and traditional dress. In between costume changes, she arranged for music performances and even sang a song herself to the audience! The models pose at the end of the Chinese fashion show. 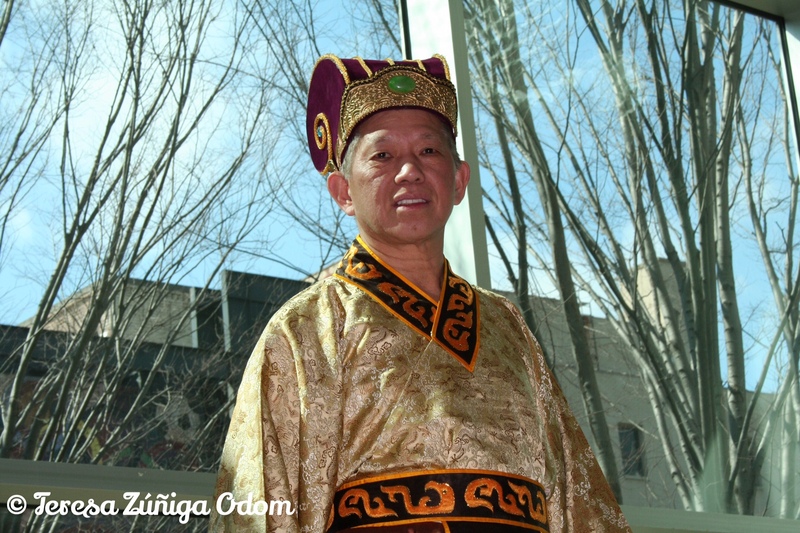 Some wore modern clothing and some wore traditional clothing. All were so colorful! The festival drew about 4,000 people to downtown Birmingham on a sunny, cold February day, and much like Fiesta, it was more than was anticipated for a first time event and definitely enough to call it a success and began planning for the next year. 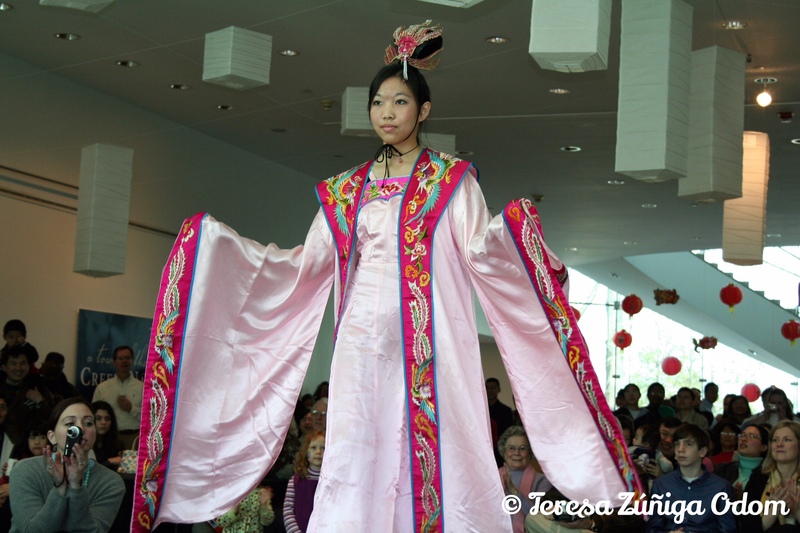 Part 2 – The festival steps up and moves into Boutwell Auditorium along with entertainment straight from China! Photo opp with Curtis Pickens of AT&T, my friend, Peggy Burnett of the APC Foundation and Amy Chen at the sight of the ribbon cutting. Amy insisted we be a part of the ceremony! The crowds were drawn to the many vendors at the festival. I saw many red lanterns walking away from the park, including one in my hand! My friend, Peggy, learns how to use the Kau Cim Fortune Telling Sticks. First, you shake the cylinder so that the sticks pop out and then you select the tallest one. Finally, you read the number on the stick and look up your fortune in a book. Not as easy as it may sound but we enjoyed experimenting! I love this picture of these little boys playing in the park. This little girl was loving her costume and the fact that she got to walk the runway – a diva in the making! This is Amy Chen’s daughter rocking this pink traditional costume. This is probably one of my favorite costumes. I don’t know if it’s because of the turquoise color or simply the fact that the model is so beautiful. This guy was hilarious! 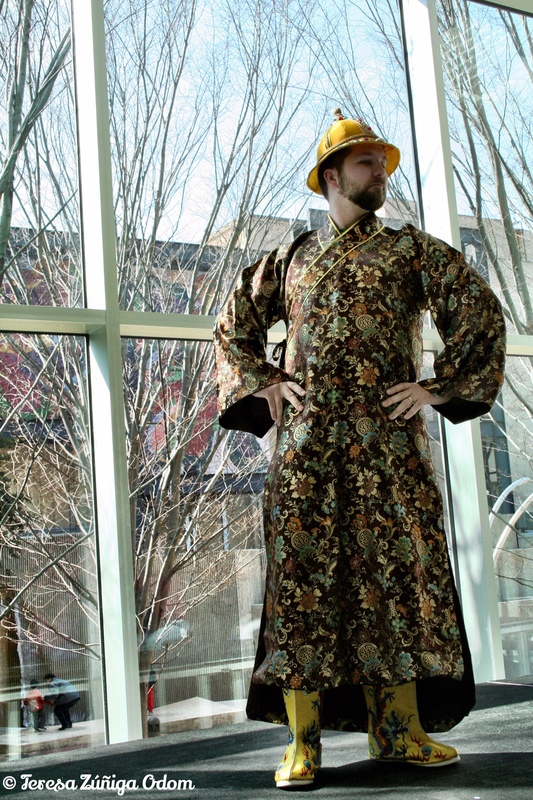 A friend of Amy Chen’s from work…he volunteered to walk the runway and did his costume proud! 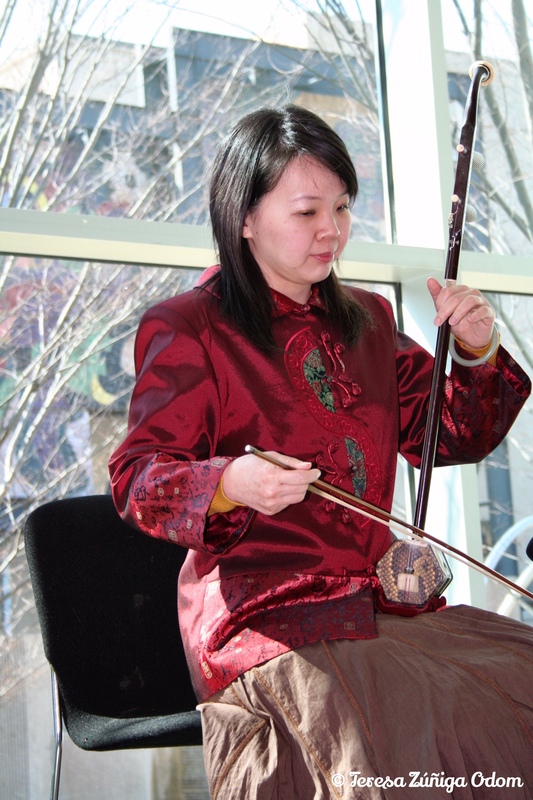 In between costume changes, this young woman entertained the guests by playing a “sanxian” – a Chinese lute. 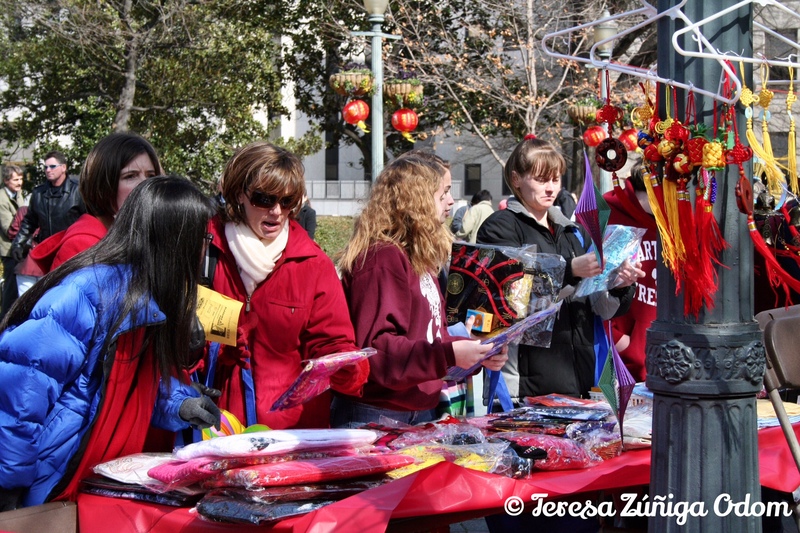 This entry was posted in Birmingham Chinese Festival Association, Chinese New Year, Festival, Fiesta and tagged Amy Chen, Birmingham, Birmingham Museum of Art, Birmingham Public Library, Chinese, Chinese Lanterns, Dragon Dance, Fashion Show, Fortune Telling Sticks, Linn Park, Magic City on February 19, 2015 by Southern Señora. 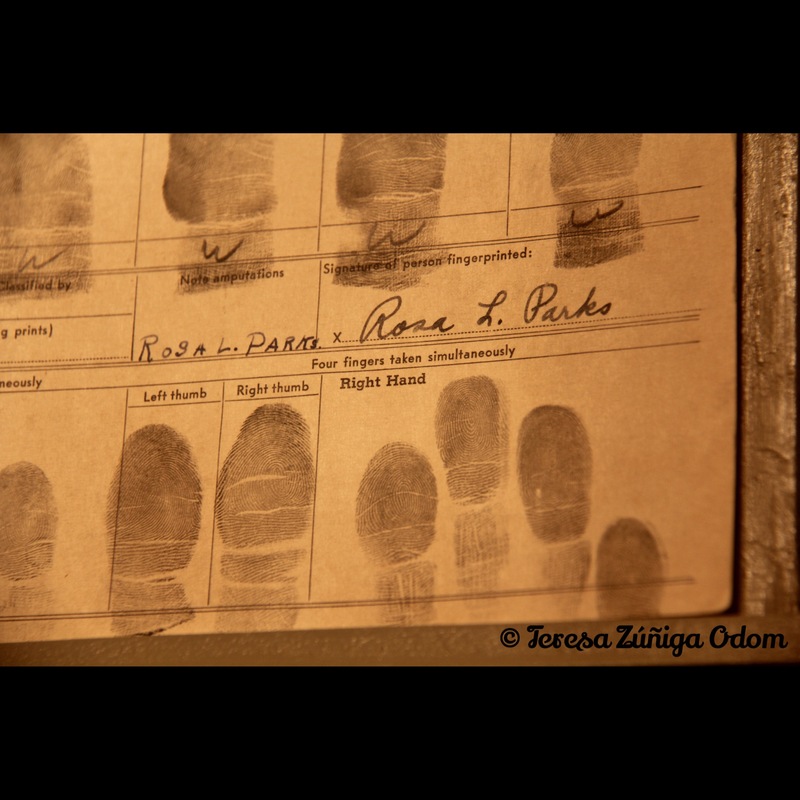 Last week was Rosa Parks; birthday – February 4th to be exact. 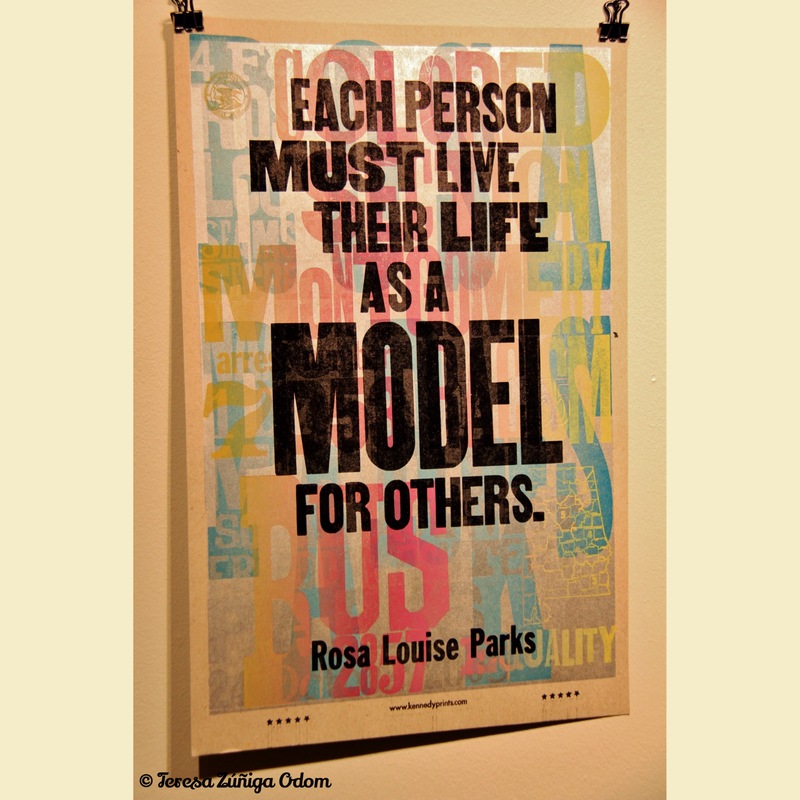 I saw countless pictures with quotes on social media about this and it reminded me of the time I discovered the Rosa Parks Museum in Montgomery, Alabama, in February of 2013. I was in Montgomery for work and finished up a little earlier than expected, so decided to drive around and see what I could discover. I did a little google search and found the Rosa Parks Museum. 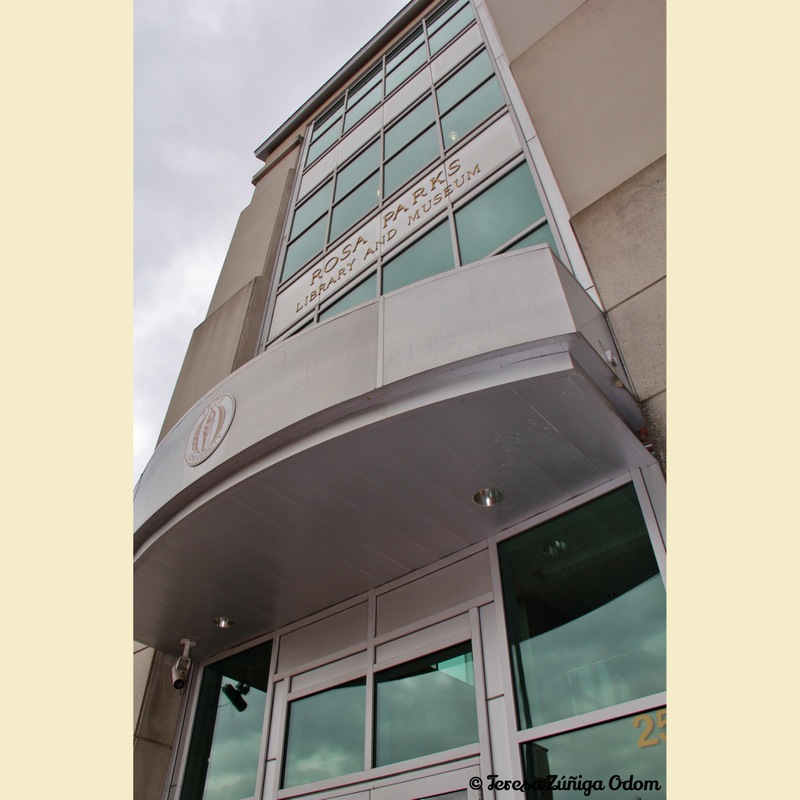 I was so excited…I had no idea there was a Rosa Parks Museum! Oh the wonders of the internet and social media!!! The museum is owned by Troy University in Montgomery. 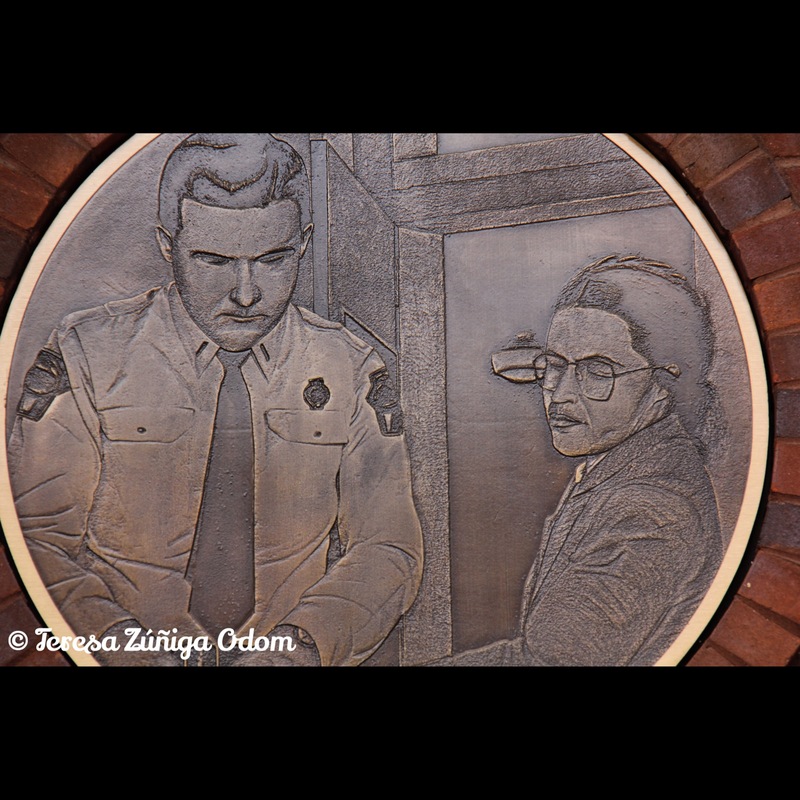 It was constructed on the site of the former Empire Theatre which is where Rosa Parks made her historic stand on December 1, 1955 at the bus stop in front of the theatre. She was 42 years old at the time. A seamstress who was just tired of how she and other people of color were being treated. 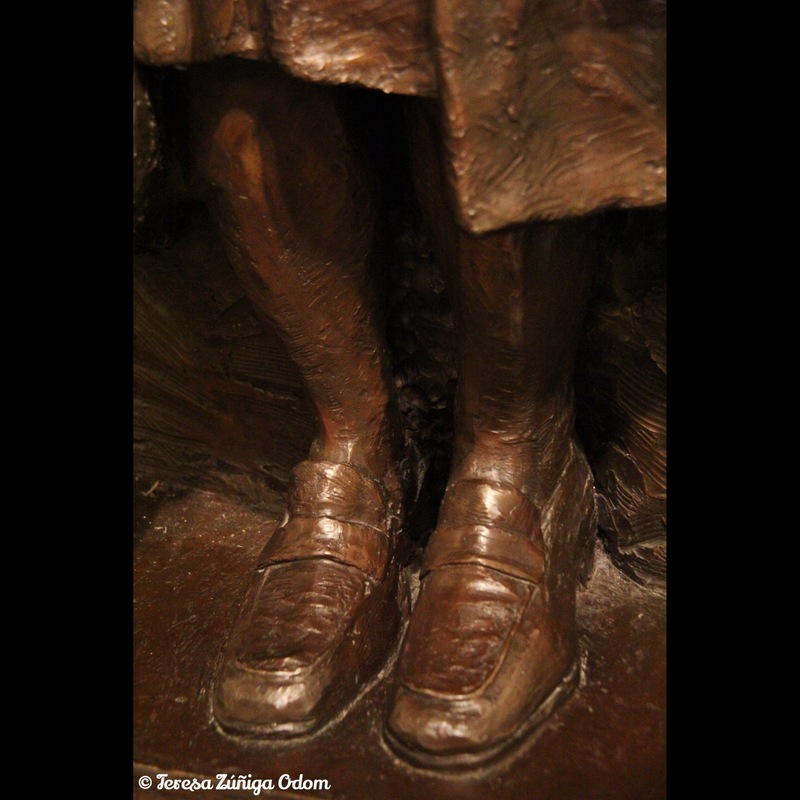 Her refusal to give up her bus seat to a white man inspired the Montgomery Bus Boycott. 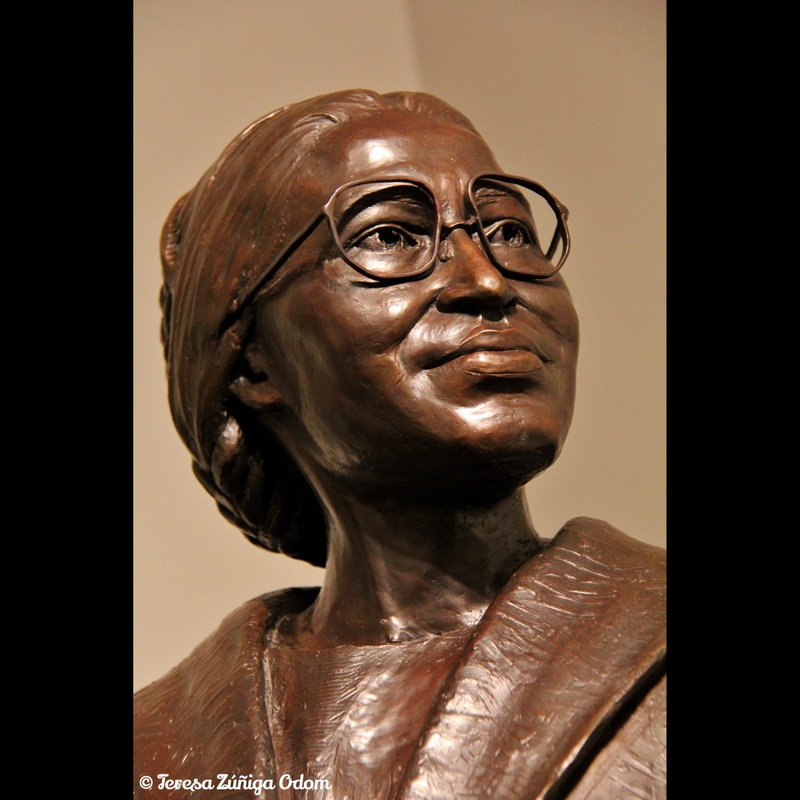 The museum opened in December of 2000 on the 45th anniversary of Rosa Parks’ “stand.” It depicts the historic events and the activities surrounding the 381-day Montgomery Bus Boycott. Mrs. Parks was even the guest of honor when Troy University dedicated the library and museum. As I went wandering through the museum, I came across a temporary exhibit of Amos Kennedy posters. 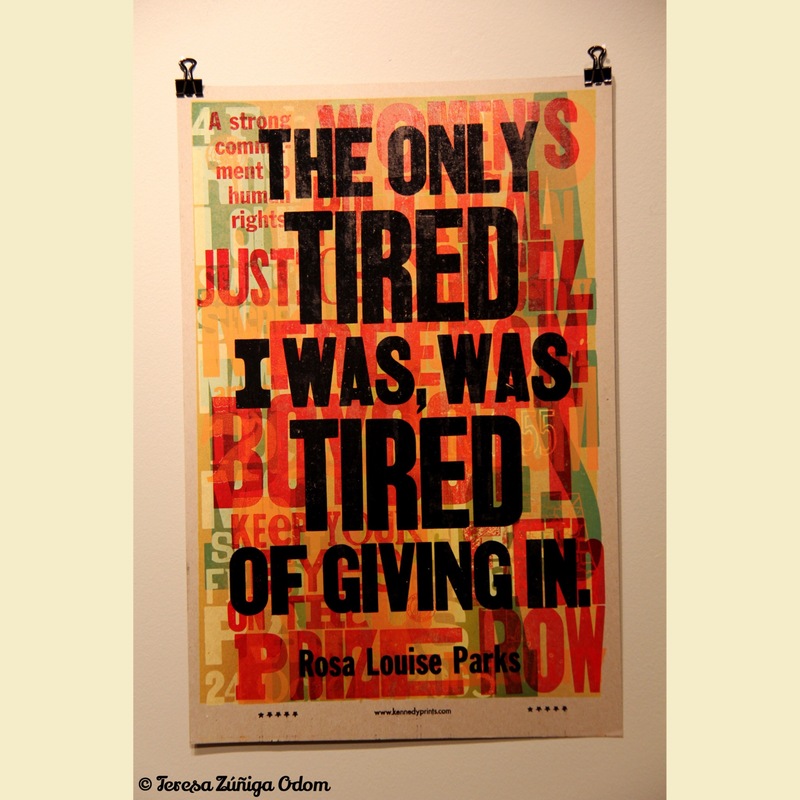 These posters displayed the words of Rosa Parks during this time frame. 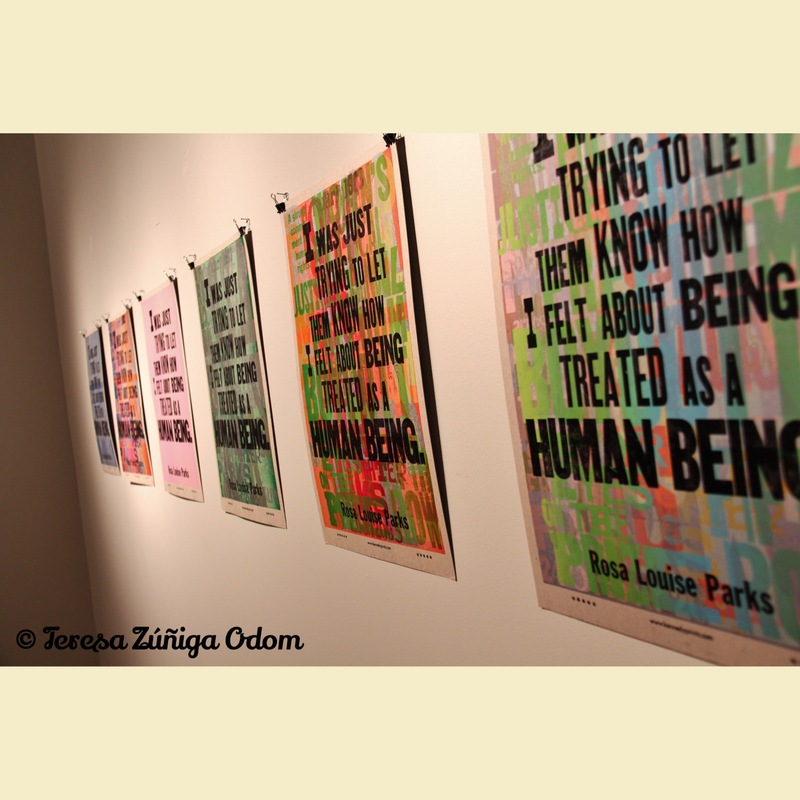 At the time I discovered the museum, I was experiencing some personal struggles in my life so when I saw the words of Rosa Parks in poster form on the walls of this exhibit, they really spoke to me. They gave me courage and the resolve to not let the situation I was in get the better of me. I mean, compared to everything that was going on in 1955 in Alabama…the situation I was facing seemed so miniscule. Perspective pretty much slapped me in the face as I walked through the museum and the exhibit. 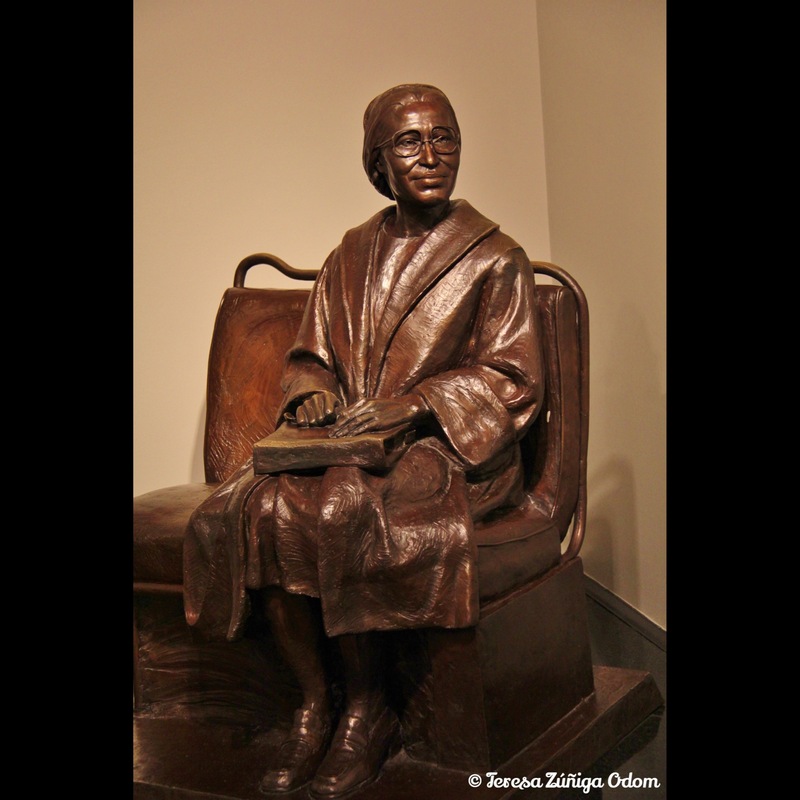 And then I walked up to the bronze statue of Rosa Parks seated on the bus by Sculptor, Erik Blome. I stood and stared at her face for the longest time. The face of courage and character. The faces of resolve. The face that seemed at peace with the decision she had made that fateful day. It gave me courage and resolve the longer I stood there…the longer I stared at her face. 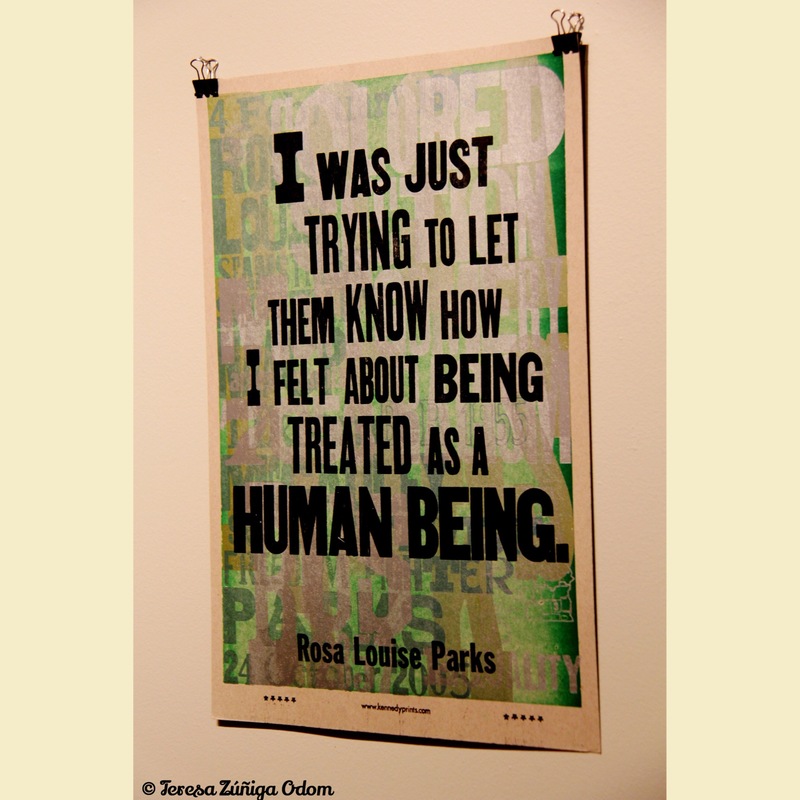 After standing at the statue, I decided to re-read Rosa Parks’ words on the posters. This time, they seemed to be speaking even more firmly at me. It was hard to leave the exhibit. I really felt at peace there and the longer I stayed, the better I felt. 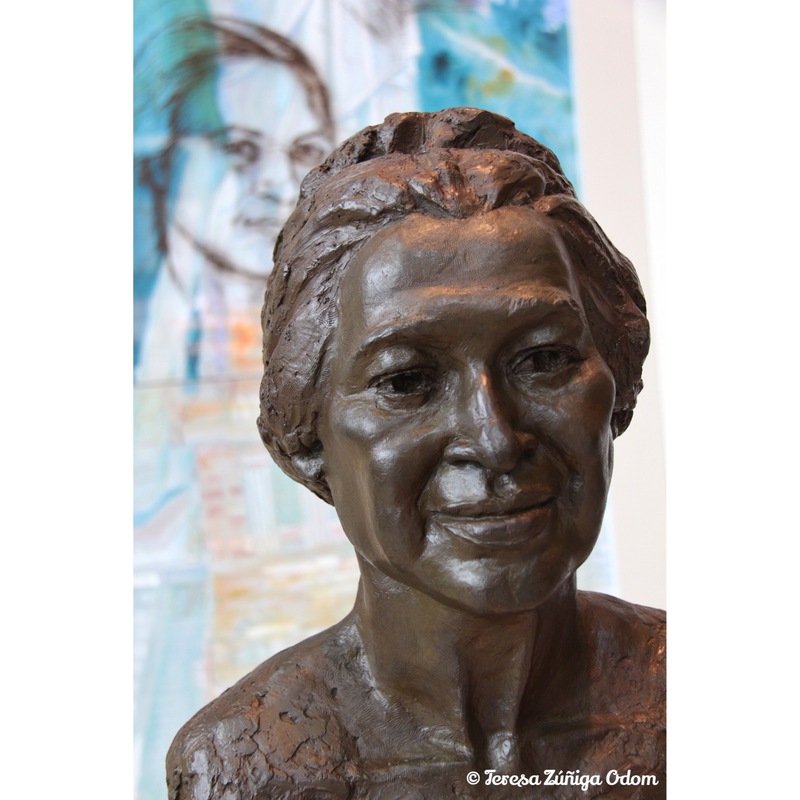 But eventually, I had to leave and I stood at the entrance, and once again I was drawn to Rosa Parks’ face in another sculpture. 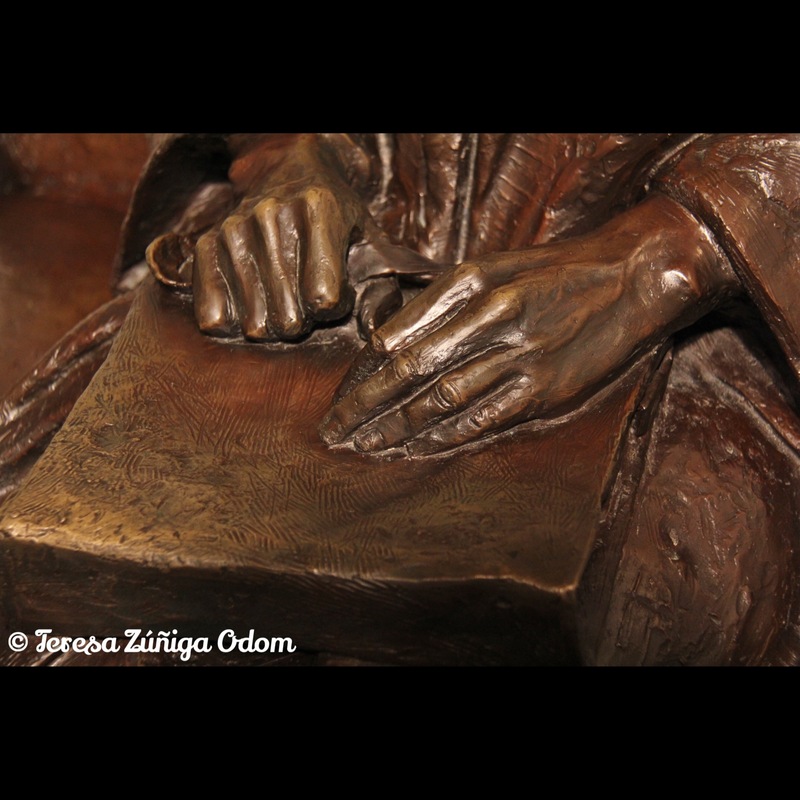 This one by Artis Lane – and this time I was drawn to her eyes in this sculpture. She seemed to be telling me everything was going to be okay. At least, that’s what I believe she was saying to me. I didn’t go through the entire exhibit that day. I will save that for another day, but it was such a blessing discovering this place not so far from my home and learning more about Mrs. Parks. This entry was posted in Black History Month, Montgomery and tagged Amos Kennedy, Artis Lane, Black History Month, Erik Blome, Posters, Quotes, Rosa Park Quotes, Rosa Parks, Scultures, Troy University on February 10, 2015 by Southern Señora.